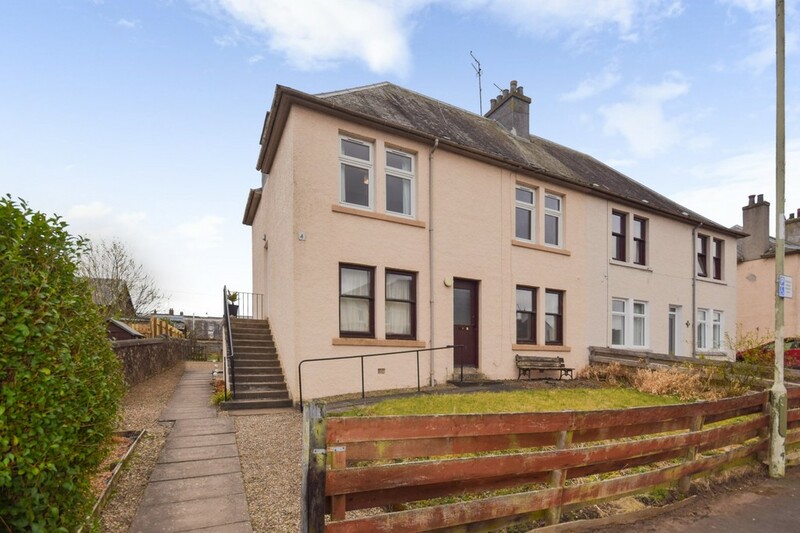 Next Home are delighted to bring to the market this deceptively spacious and immaculately presented 2 BEDROOM FIRST FLOOR APARTMENT situated in the sought after village of Blairgowrie. 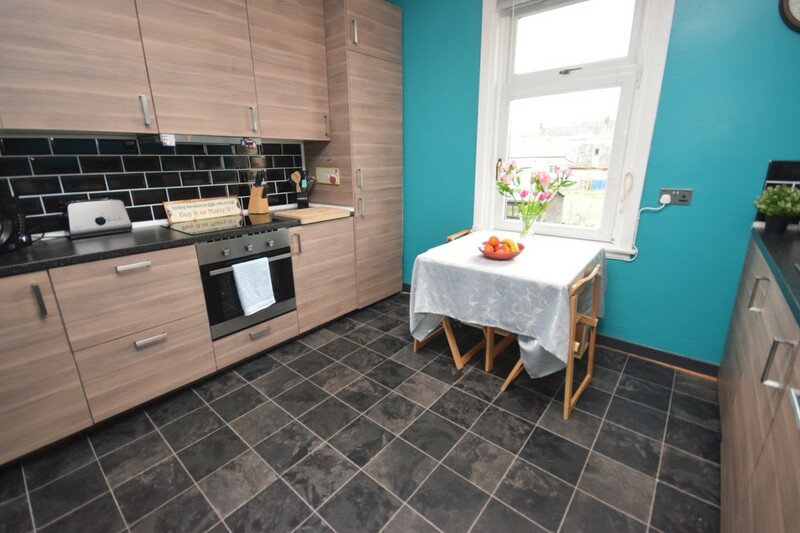 The well proportioned accommodation is spread over one floor and comprises: entrance hall, bright and spacious lounge, modern dining kitchen, 2 double bedrooms and bathroom. 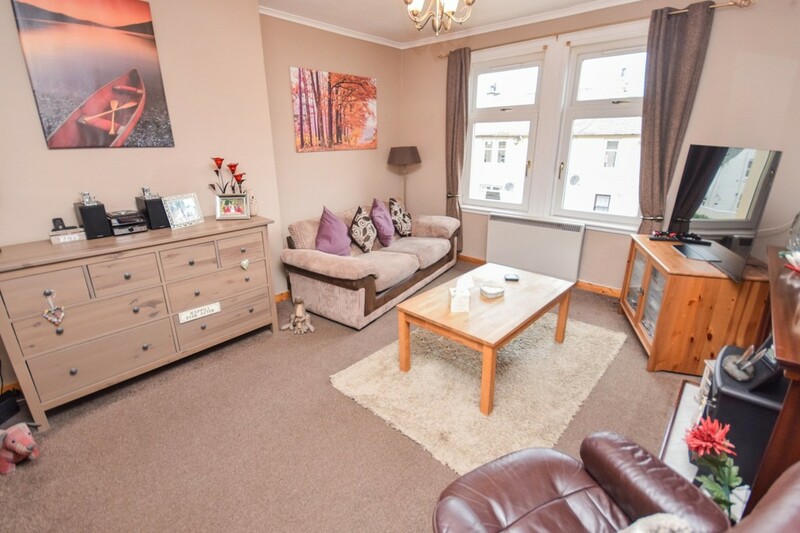 There is double glazing and electric heating throughout. EPC RATING D.
The property benefits from a communal drying area together with an area of private garden ground to the rear. On street parking is available to the front. 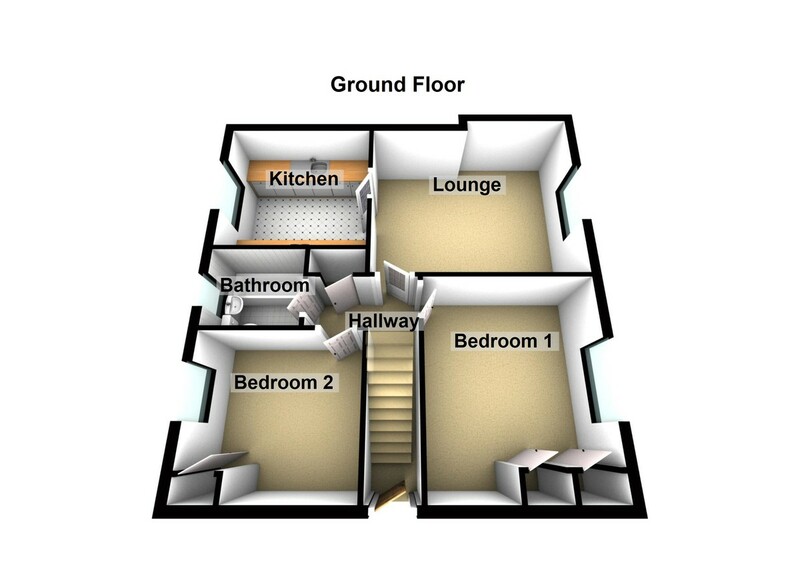 HALLWAY 6' 11" x 3' 8" (2.11m x 1.12m) Accessed via a carpeted staircase, the hallway gives access to all accommodation on offer. Built in storage cupboard with shelving. Hatch providing access to the attic space above. LOUNGE 14' 7" x 12' 9" (4.44m x 3.89m) A bright and spacious public room with two windows to the front which afford lovely views over the surrounding countryside. 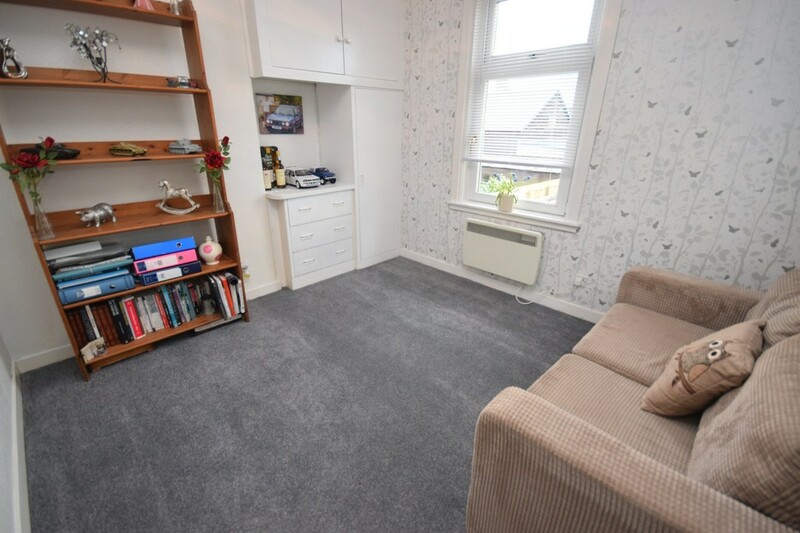 Ample space for a range of free standing furniture. Cornicing to the ceiling. Carpet. Electric storage heater. DINING KITCHEN 11' 8" x 9' 7" (3.56m x 2.92m) A modern Ikea kitchen fitted with a range of wall and base units with contrasting work surfaces and complementary tiling between. Integrated fridge/freezer, four ring induction hob with oven/grill beneath and extractor over. Integrated dishwasher and washing machine. Stainless steel sink and drainer unit. Space for a breakfasting table and chairs. Window to the rear. Vinyl flooring. Electric panel heater. 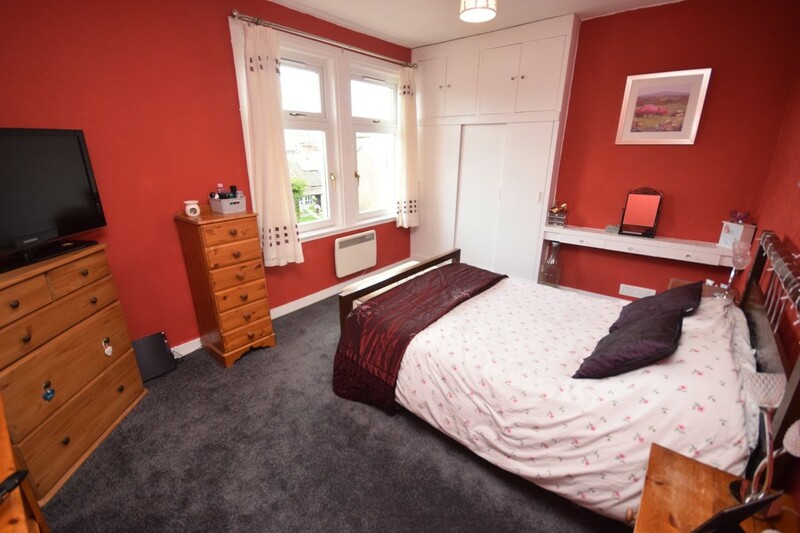 BEDROOM 1 14' 2" x 10' 6" (4.32m x 3.2m) A generous sized double bedroom with windows to the front, affording lovely views over the surrounding countryside. Ample space for a range of free standing bedroom furniture. Built in wardrobe. Carpet. Electric panel heater. BEDROOM 2 10' 0" x 9' 8" (3.05m x 2.95m) A second good sized double bedroom with window to the rear. Built in wardrobe. Carpet. Electric panel heater. 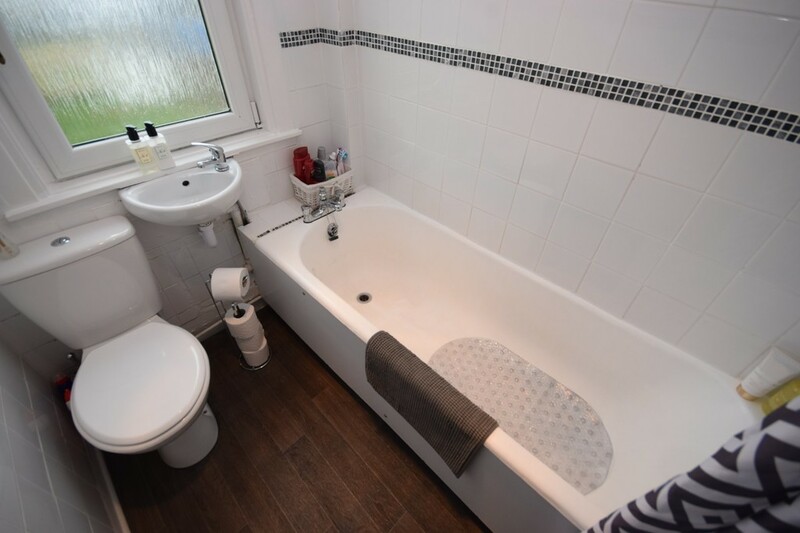 BATHROOM 5' 9" x 4' 9" (1.75m x 1.45m) Fitted with a three piece white suite comprising: W.C., wash hand basin and bath with shower over. Fully tiled walls with decorative accent border. An opaque glazed window to the rear provides additional light and ventilation. Vinyl floor covering. 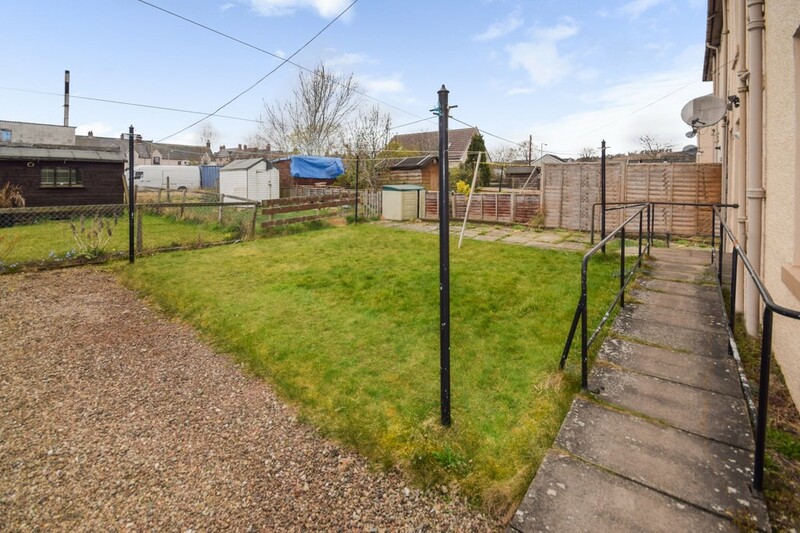 EXTERNAL The property benefits from a communal drying area to the rear together with a private area of garden ground which is predominantly laid to lawn. 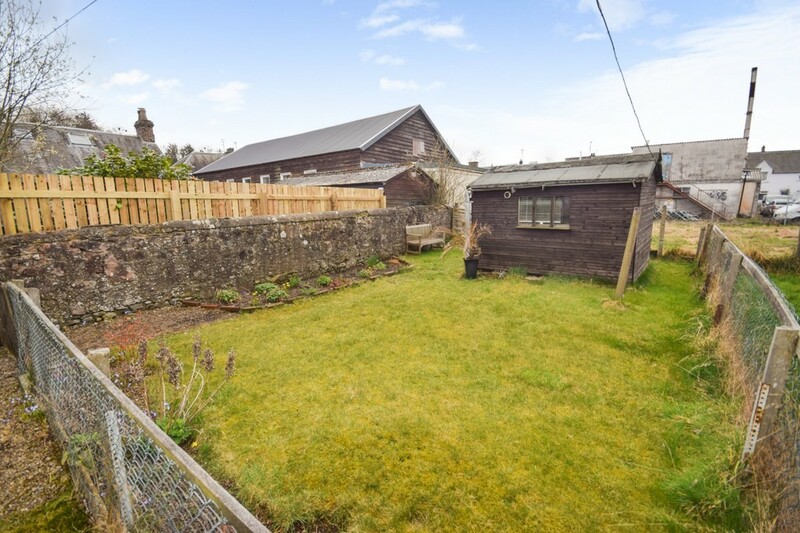 Timber shed included within sale. On street parking is available to the front of the property.